From left: Ivan Fong, Mark Wager, Sashi Kiran, Craig Strong and Isei Tudreu. Leadership is a much bigger word than we believe it to be. The right leadership skills can take a company to even greater heights of success. And the totally opposite can happen when leaders do not possess these skills. This year we started in our business a regular column from a leadership expert, Mark Wager. Mr Wager’s expertise is reflected in his advice on how one can become a better manager, and not just that, but a better leader. Reflecting back on Mr Wager’s previous column, he has described leadership as being in many ways is about the search for truth. “Finding the truth within yourself, finding the truth within your team and finding the truth behind the challenges you face,” he said. He believes it is myths that cloud the truth and make the path of leadership a more difficult journey. The difference between a company that excels and a company that is just good is found in the depth of leadership rather than the quality of leadership. The most successful companies have quality leadership at all levels of the organisation, from the boardroom to the front line. They have the type of leadership that encourages innovation and engagement. Mr Wager says to achieve a high level of success, leadership at the top is no longer enough. Leadership must be at all levels of an organisation and it is only when this happens that a self-sustaining culture of innovation and commitment can thrive. So let’s hear it from some of our leaders in terms of what can be done in Fiji to improve our leadership skills. To me there are many elements to leadership, of course. But the most important has to be mindsets around leadership. The most important at the end of the day is really maintaining a positive attitude and looking at positive things. For us as a company, we have to clean and tidy things up. In a garden, it’s like pulling all the weeds out but if you want to grow, whether as a company or an individual or as a nation, the only way to grow is to invest in growth. To look at the positives. Sure somebody can always ask questions about the negative and say should we address that? I would say yes we should, but if that’s the only thing you would focus on, we will never grow. If you keep pulling weeds, you will never harvest and produce so you will have to start planting seeds and ideas for the future as well. Leaders in Fiji have an advantage because essential leadership qualities such as humility, caring for people, hospitality and integrity come naturally. These qualities are engrained in the Fijian culture. What needs to be improved is an understanding of modern leadership theories and leadership psychology. 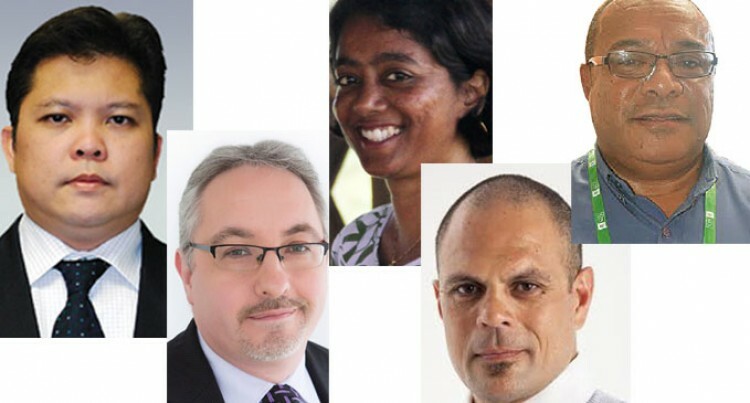 The techniques used every day by the world’s top executives must be available to leaders in Fiji. To embrace this knowledge will not only make Fijian businesses more competitive internationally but also develop the next generation of leaders in Fiji. A lot can be done – a volunteer scheme to encourage youth to volunteer in a range of work experiences, much more analytical , strategic thinking based on achievement that encourage youths leaders to think outside the box , analyses and take actions to full grasp for growth in all sections. Building people capacity is the key. Allow youths to lead participation leadership-run programmes whether be it in sports, outdoor pursuits or cultural activity, contrary to popular belief that Fijians are born leaders. We operate in small but dynamic economy so we alter to be multi-skilled. Define a leadership vision game plan and train the people then to mobilise a team to reach goals through a game plan. We need to improve the strength in training of the mindset of the workforce to meet goals. This is big for Fiji but we have to get down to the different contributors and to sectorise and work with an integrated approach.